The Executive Summary compiles a current snap shot of your business and presents it in a drill down presentation so that any information can be evaluated in detail. Sales, Inventory, Deposit, cash receipt, and disbursement information can all be reviewed with a single selection. Budget and actual numbers can be compared if the budget option is used. 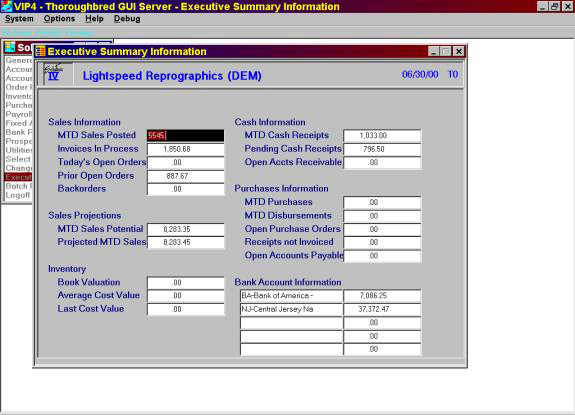 The information can be displayed in a chart format in either Thoroughbred's ChartServer or MS Excel. 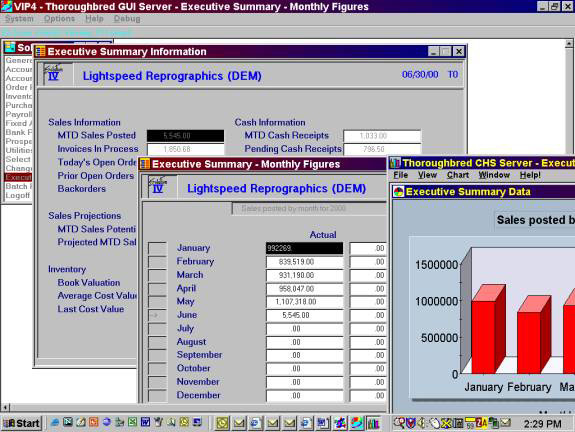 The Executive Summary is included with the System Utilities module.